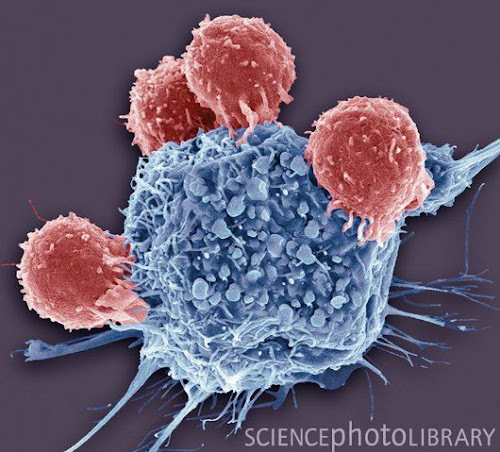 T lymphocytes and cancer cell. Coloured scanning electron micrograph (SEM) of T lymphocyte cells (red) attached to a cancer cell. T lymphocytes are a type of white blood cell that recognise a specific site (antigen) on the surface of cancer cells or pathogens and bind to it. Some T lymphocytes then signal for other immune system cells to eliminate the cell. The genetic changes that cause a cell to become cancerous lead to the presentation of tumour antigens on the cell’s surface. Magnification: x2300 when printed at 10 centimetres wide. For years, the open science movement has sought to light a fire about the “closed” journal-publication system. In the last few weeks their efforts seemed to have ignited a broader flame, driven mainly, it seems, by the revelation that one of the most resented publishers, Elsevier, was backing the Research Works Act — some tomfoolery I noted in Congress Considers Paywalling Science You Already Paid For, on Jan 6. Now, 24 days later, scientists are pledging by the hundreds to not cooperate with Elsevier in any way — refusing to publish in its journals, referee its papers, or do the editorial work that researchers have been supplying to journals without charge for decades — and the rebellion is repeatedly reaching the pages of the New York Times and Forbes. via Testify: The Open-Science Movement Catches Fire | Wired Science | Wired.com. 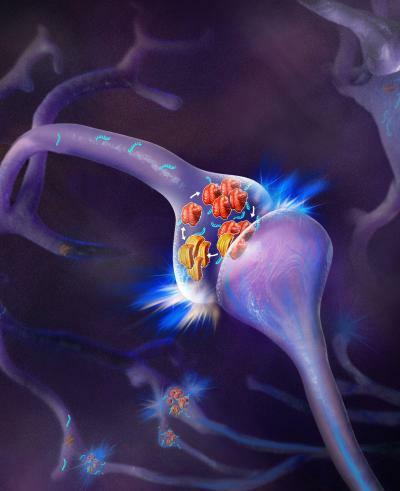 The finding supports a surprising new theory about memory, and may have a profound impact on explaining other oligomer-linked functions and diseases in the brain, including Alzheimer’s disease and prion diseases. 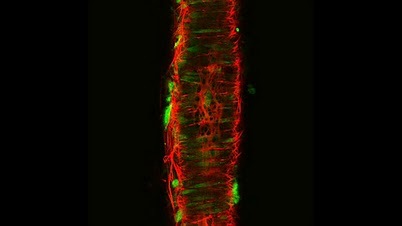 “Self-sustaining populations of oligomers located at synapses may be the key to the long-term synaptic changes that underlie memory; in fact, our finding hints that oligomers play a wider role in the brain than has been thought,” says Kausik Si, Ph.D., an associate investigator at the Stowers Institute, and senior author of the new study, which is published in the January 27, 2012 online issue of the journal Cell. via ‘Panic button’ could help cancer defy drugs – life – 29 January 2012 – New Scientist. Mice don’t have tails on their backs, and their ribs don’t grow from lumbar vertebrae. And for a good reason. EPFL scientists have discovered the mechanism that determines the shape that many animals take – including humans, blue whales, and insects. Why don’t our arms grow from the middle of our bodies? The question isn’t as trivial as it appears. Vertebrae, limbs, ribs, tailbone … in only two days, all these elements take their place in the embryo, in the right spot and with the precision of a Swiss watch. Intrigued by the extraordinary reliability of this mechanism, biologists have long wondered how it works. Now, researchers at EPFL (Ecole Polytechnique Fédérale de Lausanne) and the University of Geneva (Unige) have solved the mystery. Their discovery will be published October 13, 2011 in the journal Science. via From whales to earthworms, the mechanism that gives shape to life. Scientists working at the Medical Research Council have identified changes in the patterns of sugar molecules that line pre-cancerous cells in the esophagus, a condition called Barrett’s dysplasia, making it much easier to detect and remove these cells before they develop into esophageal cancer. These findings, reported in the journal Nature Medicine, have important implications for patients and may help to monitor their condition and prevent the development of cancer. Researchers Find Unique Protein Organization In Arteries Associated with Cardiovascular Disease. 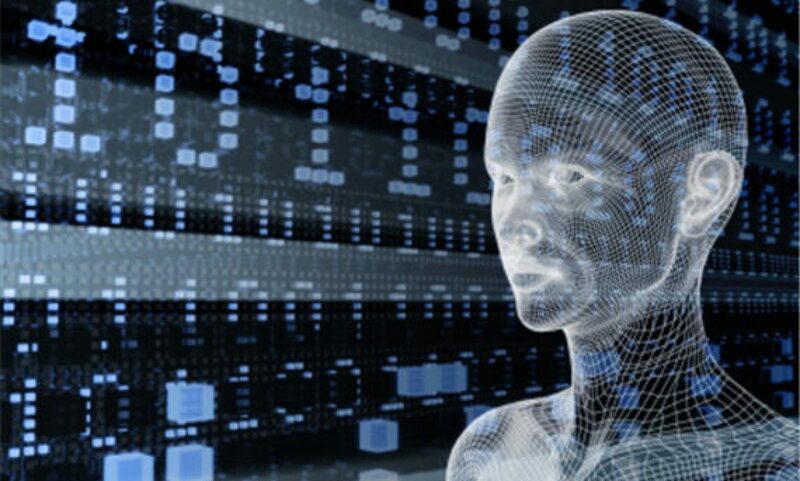 Knowledge could assist in tissue replacements, treatments for high blood pressure and diabetes. ..Human arteries – some smaller than a strand of hair – stiffen as a person ages. This stiffening is a factor in cardiovascular disease, the leading cause of death in the United States, because it contributes to the circulatory complications in disorders such as high blood pressure and diabetes. University of Missouri researchers have now used advanced 3-D microscopic imaging technology to identify and monitor the proteins involved in this stiffening process. These findings could eventually help researchers and physicians understand and treat complications associated with cardiovascular disease.